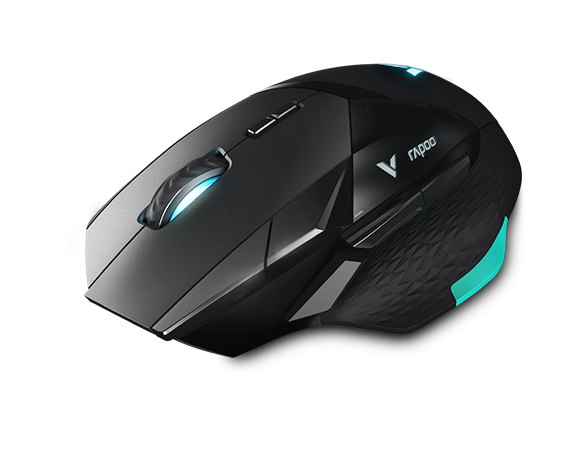 Designed to fit your palm, this mouse prevents unnecessary strain on your hand to enable comfortable grip and pleasant use even during your longest games. Confidence is good, control is better: Your VT900 offers you 10 individually customizable buttons to which you can assign a wide range of functions and macros. Built-in memory to save the mouse configuration (macro, DPI setting and breathing light mode) in the game mode. You can play the way you want it, on any computer without the help of any software. You can adjust 7 DPI values from 50-16000DPI through DPI+/- buttons, which is up to 16000DPI. You can also +/- DPI recurrently with an interval of 50 DPI to meet the accuracy of different screens. Professional gaming optical engine with 400 inches / s tracking speed, Max.acceleration of 50G and up to 1000 Hz USB report rate, ensures accurate tracking, anytime, anywhere. Customizable OLED display screen shows your APM,DPI and game statistics in real time, you can even set it as the words or images you like, which make it so cool and professional matching with the breathing light.